One of the world's best zoos is on the road! 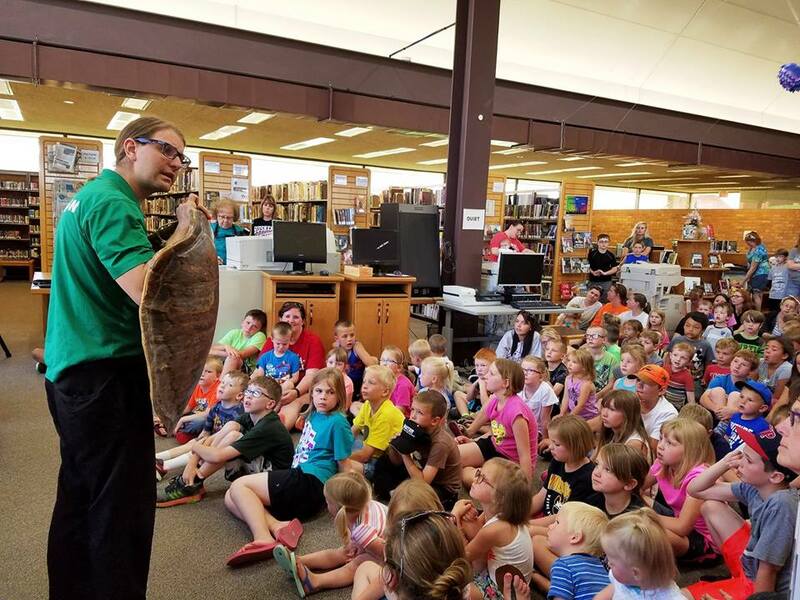 Bring the Zoo to your school, library, senior center or event. We offer unique educational experiences that are fun, interactive, memorable and engaging for children and adults. Our animal experts deliver programs that will educate, inspire and engage your group. Our programs bring zoo artifacts and sometimes even live animals from our Zoo to you! View our offerings below. Contact the Education Department at (402) 738-2092 or zoo2you@OmahaZoo.com for more information or to make a reservation. 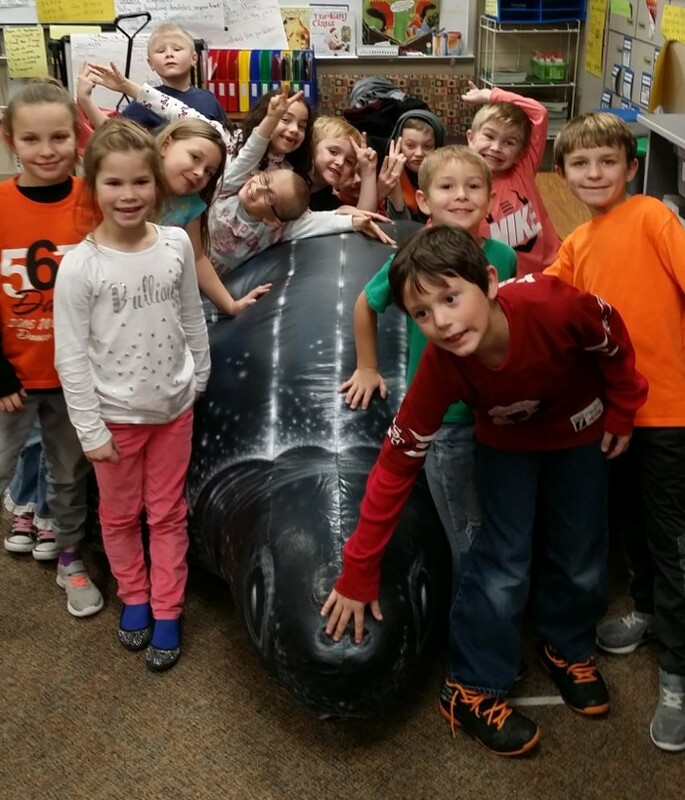 The Virtual Field Trip program through Zoo 2 You is a proud recipient of the Pinnacle Award from the Center for Interactive Learning and Collaboration. When you have a big audience you need big entertainment, and big education. With or without animals these programs are perfect for your school. Our STEM experts are coming soon to a classroom near you. We provide hands-on educational experiences that make science come alive and foster a lifelong love for conservation. These programs are correlated to Nebraska and Iowa Standards. We have programs perfect for every level from Pre-K through Grade 12. Our library programs are a perfect addition to your schedule. When you bring one of the world’s best zoos to your site, you can count on a great educational program that will fit your theme. These presentations provide a lasting memory as they inspire and educate children and adults. Whether you have the zoo as a long term provider, or for a single visit, the Zoo is the perfect mix of education and fun for your afterschool program. “You demonstrated the VERY BEST in after school programming and practice” – Sandra, Ed. D.
When we visit your community, it is like a visit to the zoo for those who cannot attend. We will provide an update on the exciting new things at the zoo. The engrossing presentation uses pictures, videos, pelts and even live animals. If your event is looking for a guest speaker, call us to see if a zoo expert is available. We charge a small fee for speakers to help offset our costs. Take a field trip to the Zoo without ever leaving your school. Our distance learning programs bring you inside the most popular exhibits at one of the world’s best zoos through video conferencing. Step inside the world’s largest indoor desert or North America’s largest indoor rainforest without leaving your classroom. You will learn about the amazing animals and ecosystems at the Zoo, speak with experts and maybe even meet one of our animal ambassadors. These programs are fun, interactive and correlate with state and national standards. Programs are scheduled at your convenience. Connecting is easy. The only technology required is a webcam, microphone and Internet connection. Program Fee: $125 (out-of-state), $120 (in-state). Go nose-to-nose with more than 75 Antarctic penguins. Say hello to Gentoo, Rockhopper and King penguins. Witness their unique behaviors and discover their amazing adaptations from a front row seat at one of the premier penguin exhibits in the world. We step inside the world’s largest indoor desert for this engaging program. Look up to see the world’s largest glazed geodesic dome, look down and see cactus, birds and mammals. Learn about this unique ecosystem with fun, engaging activities and meet one of our animal ambassadors. Join us in the Mutual of Omaha’s Wild Kingdom Pavilion. We will learn why species become endangered and what we can do to save these animals. A visit by an animal from our renowned amphibian conservation program will shed light on the work being done to help combat the worldwide amphibian crisis. Join us live from inside North America’s largest indoor rainforest. Learn the structure of this complex ecosystem, how plants and animals survive, and how the rainforest benefits us from thousands of miles away. This program is ‘supervised’ by either the two-toed sloth or gibbons in the trees behind the camera. Sharks, sea turtles and stingrays, OH MY! With the backdrop of our 450,000 gallon salt water shark tank, everyone’s favorite ocean creatures are up close and personal. With everything from seven-foot sandbar sharks to 250 pound sea turtles, you never know what will swim by and make an appearance. A funding opportunity is available for Nebraska-based K-12 schools to support distance learning sessions with Omaha's Henry Doorly Zoo and Aquarium. Submit an application below but first, please read through the enclosed eligibilty and restrictions. Contact the Education Department at (402) 738-6905 or zoo2you@OmahaZoo.com for more information or to make a reservation. 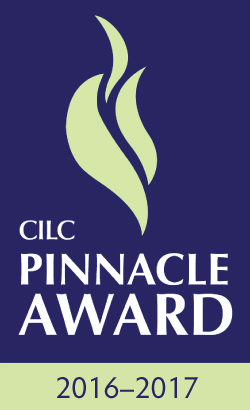 The Virtual Field Trip program is a proud recipient of the Pinnacle Award from the Center for Interactive Learning and Collaboration. Contact the Education Department at (402) 738-2092 or classes@OmahaZoo.com to reserve your Zoo-To-You trunk. Free with refundable $50 security deposit and contract due upon checkout. Can be used up to one week in the classroom. Please call for extended time periods.